Where am I? Located in Red Rock, TX -- in between Lockhart and Bastrop. What to bring: Your own water! But the nice thing about the glamping tent is no sleeping gear is needed. What to expect: A lot of relaxing. Some walking trails. Cute goats! There's a small pond that's okay for dogs to swim in. Very peaceful and isolated. Ardor Wood Farm, it's like home away from home. We got a fun taste of glamping for the weekend thanks to HipCamp. For those of you who don't know, HipCamp is an awesome online camping resource (I compare it to a Yelp or AirBnb for camping in the US). Chris signed on to be a Field Scout, where he gets to check out new camping listings and photograph them for the site. You can see all the final photos and the listing here. 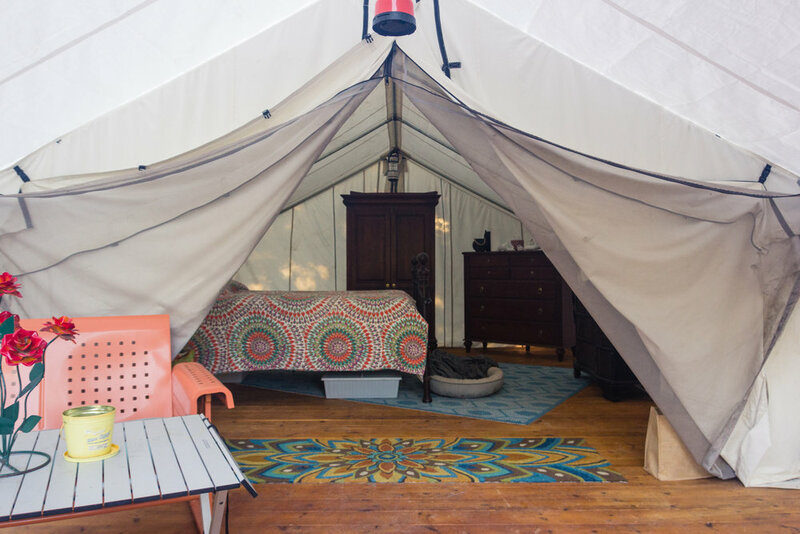 We went out to Ardor Wood Farms mid-afternoon and got ourselves acquainted with the glamping tent and property. I will tell you, it was pretty nice to not have to set up and break down camp for a change. The tent has a queen size bed, full bug protection, a dresser, and chair. There is no running water, so make sure to bring plenty of your own. There is a small, clean, outhouse available down the trail near the tent spots. 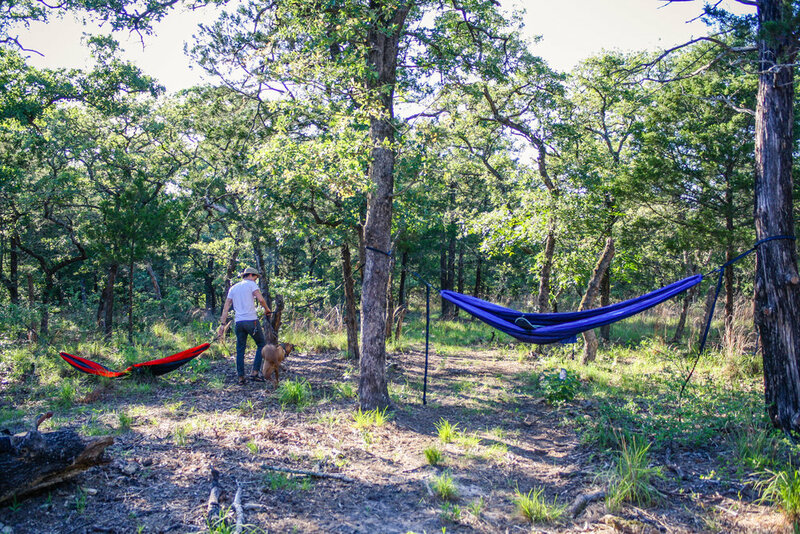 We spent the afternoon exploring the property, looking at the baby goats, and hammock relaxing among the trees. When it cooled down at night, we played Yahtzee on the porch and just relaxed. From our last trip out to Pace Bend where we had obnoxious camping neighbors and not much privacy, this was a truly great experience in comparison. There isn't much to do around the area besides hang out... so I would definitely recommend the area if you're just looking to get away from Austin and have a simple night under the stars.